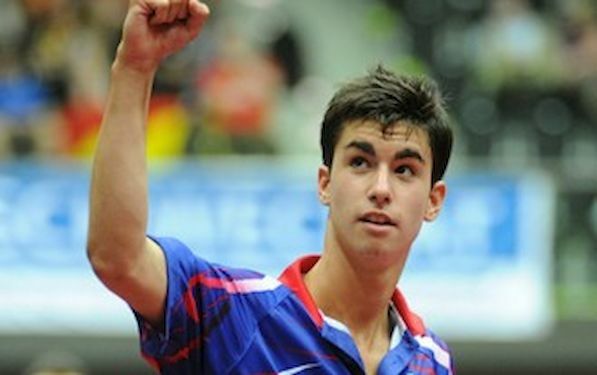 Tristan FLORE still holds the top of the European Junior Rankings at the end of May. The situation in Junior Boys Rankings is unchanged at the top. Top 9 players are still the same, whilst only Andrea LANDRIEU of France progressed from 11th to 10th place. Tristan FLORE still holds the top of the European Junior Rankings at the end of May. The situation in Junior Boys Rankings is unchanged at the top. Top 9 players are still the same, whilst only Andrea LANDRIEU of France progressed from 11th to 10th place. Enzo ANGLES and Alexandre ROBINOT are still at position no. two and three among juniors. Tamas LAKATOS of Hungary follows at the position no. four. In Junior Girls Rankings Romania’s Bernadette SZOCS is still the leading name followed by Lea RAKOVAC of Croatia, and Nina MITTELHAM of Germany. Alina ARLOUSKAYA of Belarus moved from spot no. 4 to no. 5. In Cadet Boys Alexandre CASSIN and Joe SEYFRIED of France are number one and two. Maxim CHAPLYGIN of Russia progressed to position no. three. Marie MIGOT of France is listed at position no. 1 in cadet Girls Rankings, Adina DIACONU of Romania is second, HO Tin Tin of England third and Maria MALANINA of Russia is fourth.